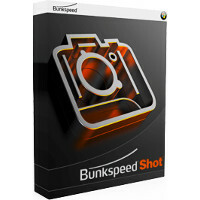 Full, professional collection of Bunkspeed SHOT and Bunkspeed MOVE functionality, along with many additional features and productivity tools, such as QUEUE, BOOST and configurations. 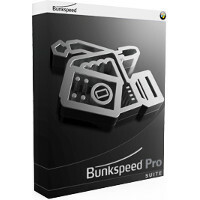 The Bunkspeed PRO Suite has all the features of Bunkspeed SHOT and MOVE plus additional features for the discerning professional graphic artist, photographer, marketer, animator, designer or 3D creative. Bunkspeed SHOT is simply accurate, with no settings for quality at all. SHOT enables you to import 3D data, apply accurate materials and lighting, and create stunning images in minutes instead of hours. It's real, physically correct lighting from the HDR (high dynamic range image). It's simple, fast, and accurate, enabling stunning results on the first try. It's hybrid too, so it uses all available processing resources (CPU + GPU) in your computer.